Meet at 1pm Martholme Manor House, Martholme Lane, Great Harwood, Blackburn BB6 7UJ for a guided tour of the house and garden with refreshments. Cost: £8. Please e mail info@foph.co.uk if you wish to attend. Limited places. 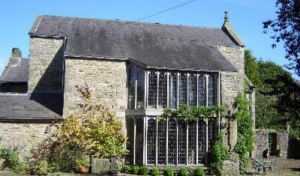 Nobody can fail to be impressed by this charming Grade 1 listed medieval manor house that lies in a hidden corner of north east Lancashire next to the River Calder. Martholme Manor. By kind permission of the Trappes-Lomax family. The de Fitton family owned the house in the 13th Century until it passed by marriage into the Hesketh family and it was Thomas Hesketh who had the house rebuilt in 1577 adding on an east wing and a gatehouse. Parts of the house still date back to medieval times. Constructed of sandstone rubble now rendered and with a slate roof, Martholme was originally surrounded by a moat of which there are still traces. Hesketh’s son, Robert added another arched gateway and after his death and after the marriage of his second wife Jane to one of the de Hoghton family, the house went into his ownership. It appears that the house was never lived in by the Heskeths and was leased out to tenant farmers. After the Civil War the Heskeths were very heavily fined because of their Catholic faith and Martholme grew into a state of disrepair. Although parts of the house have been demolished the part that is left has been lovingly restored by the present owners and it is now a private residence. After our tour there is an option to climb the 72 steps up to the railway viaduct and walk along it. There is a board at the top explaining the history of the area. Unfortunately there is no other way of getting up to the viaduct from Martholme Lane. 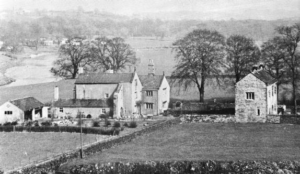 Banner Image of Martholme Manor. 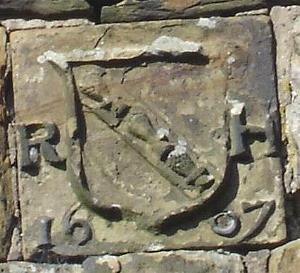 Attribution: Ian Fairclough of Great Harwood Historical Society (GHHS).